10 Best And Exotic Islands Near Istanbul One Must Visit! 10 Exotic Islands Near Istanbul One Must Visit For A Paradisiacal Vacation! A beach vacation is ideal for many since they love having the wind in their hair and the ocean at their feet, but the one place which is seldom considered to be an ideal vacation spot is just a level up from a beach- an island. Out of all the islands which are just perfect for having a vacation, the princes’ islands, situated just the coast of Istanbul in Turkey is ideal. A combination of islands, Princes’ Island ensures that its visitors have fun. If you are wondering about what to do in princes islands in Istanbul then get ready to take a ferry to reach the location before climbing up on a horse-drawn carriage to roam the cities. But roaming the cities is just the tip of the iceberg, there’s a whole lot more. While you’re already smitten by the beauty of this city of Turkey, make sure to visit these 10 islands in Istanbul and enjoy a relaxing tropical vacation. 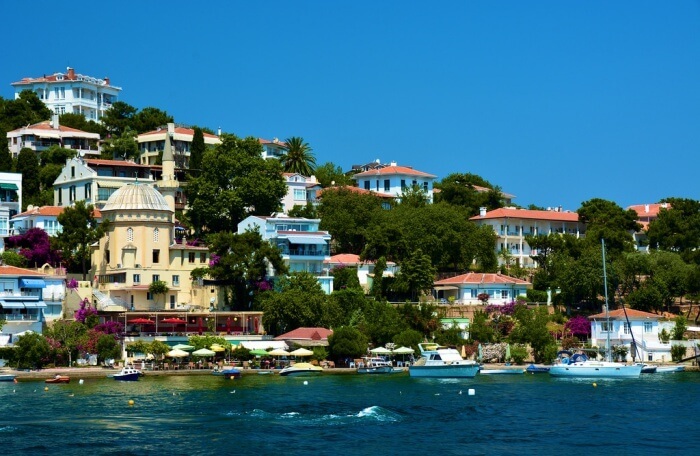 Büyükada, whose name means ‘Big Island’ in Turkish, certainly does justice to its name since it is the biggest of the nine islands which constitute Princes Islands which are a group of islands near Istanbul. It has an area of around 5 square km or 2 square miles and is a neighbourhood of the Adalar district of Turkey’s Istanbul province. 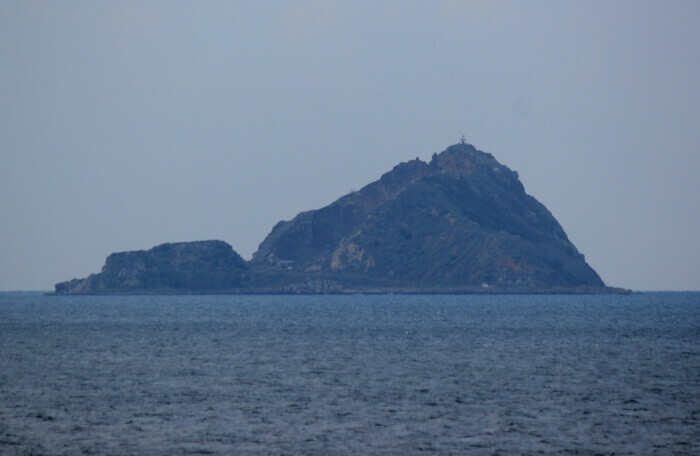 Visitors will find that this island has two peaks and the one which is near to the ferry landing is called Isa Tepesi which means Jesus Hill in Turkish. In the valley formed between the two hills there lies a church and a monastery of Agios Nikolaos, but apart from that, they can also visit the Greek Orthodox Churches of Panagia, Hagios Demetrios, Franciscan Church of San Pacifico and the Armenian Church of the Surp Astvadzadzin Verapolium. There is also a cafe in there which serves up some delicious chips, wine, and sausage sandwiches. Burgazada is the third largest of the conglomeration called the Princes Islands. There is a singular hill here, which runs across 2 kilometers in here. The island is named after a fort, which Demetrius I of Macedon (one of the successors of Alexander the Great) built. Visitors here should check out the Sait Faik Abasıyanık museum, which is named after a writer of the above name as he used Burgazada as a common setting for his works. While the island has been a residence for Greek minority, but in the 20th century onwards, many from Istanbul have also shifted base to here. 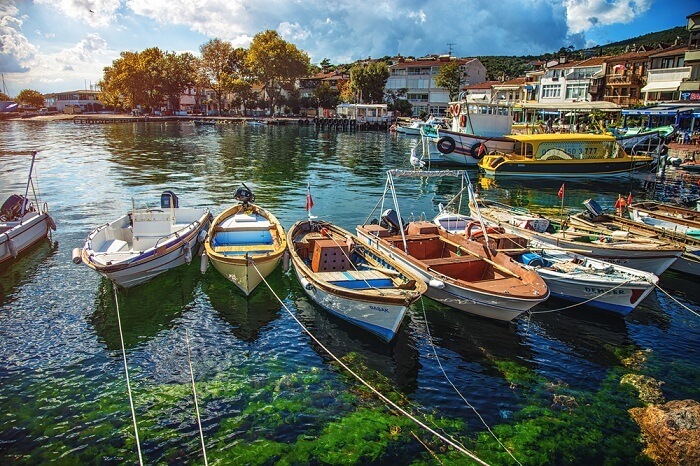 Heybeliada or also known as Heybeliada is the second biggest of the amalgamation known as the Princes Islands in this Sea of Marmara. It is a neighborhood of the Adalar district of Istanbul. Upon arriving, visitors will find two beautiful pieces of architecture in the area of the Naval Cadet School- one is called Kamariotissa and it is the only Byzantine church left on the old islands. But it was also the last one to be built before Constantinople began his conquest. 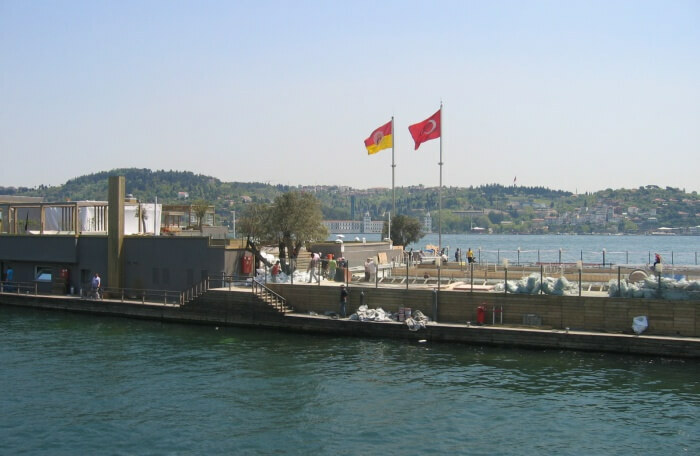 The other is actually the grave of Edward Baryon who was the second ambassador sent from England by Queen Elizabeth I.
Sivriada is also called Hayırsızada which means ‘useless island’ and it has an area or 0.05 km square. It forms part of the Islands in Turkey near Istanbul. It was called as such because it is said to have brought God’s wrath on itself for killing stray dogs there. 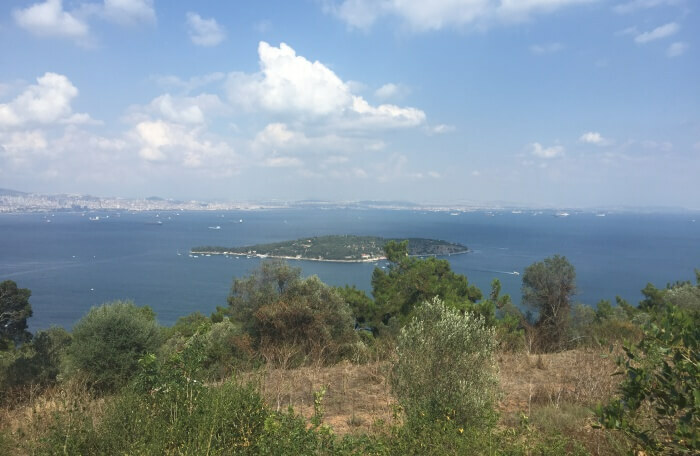 This island was often a site for Byzantine clerics to come for worship and also used a prison to detain people who were thought to be troublesome. People can see the detached ruins of a 9th-century Byzantine monastery in here, along with that of a Roman settlement. Major buildings like a chapel, a church and a cistern located in the center of town island were built in the 9th century. 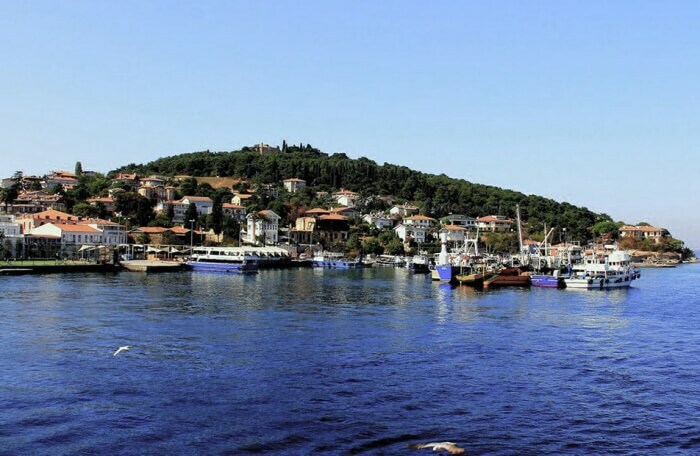 Kaşık Island means ‘Spoon Island’ since it is shaped like a spoon. The island is actually a private property of a Greek family known as Danon, so visitors won’t be able to spend any time here unless and until they get permission from the owner or they can jump in for a tour with a tourism company. 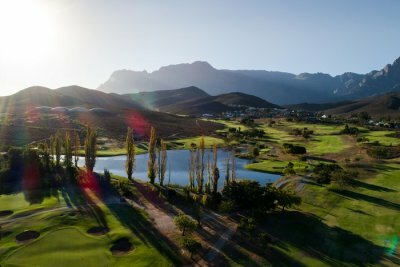 Make sure to sign up early for the tour as spots get filled out here, you will have to reach the island using a ferry, but from then on the sandy beach and the greenery will be a treat for your eyes. Sedef Island was called Andircuithos or Androvitha during historic times, but its name now means ‘Mother of Pearl’ Islands. It had an area of 0.157 km square which makes it one of the smallest islands of the group. The island is also majorly a private property and all the pine forests were majorly planted by its owner. He also made sure that there was a strict building code of not allowing houses with more than two floors so that the environment and nature of the island would be protected. 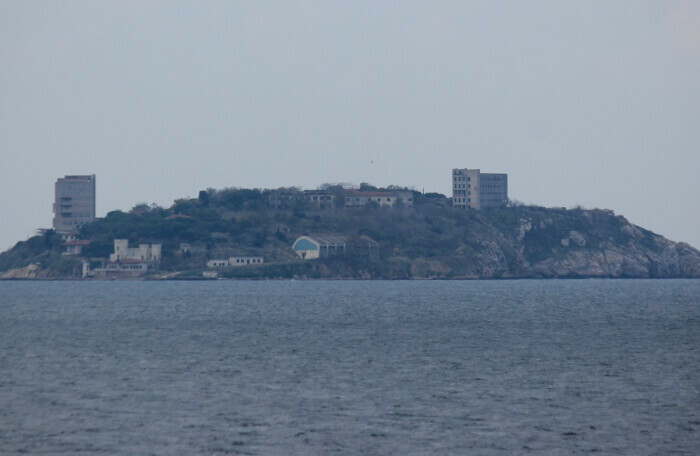 Yassıada whose name means ‘flat island’ is also known as Democracy and Freedom Island after it was renamed as such but the old name is used as well. 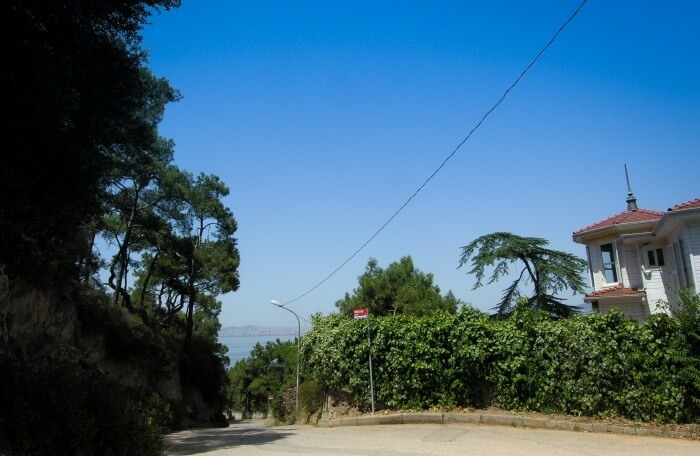 The island comes with an area of 0.05 km square and is a neighborhood of Turkey’s Adalar district in Istanbul province. Yassiada was mainly used by the Byzantines for sending off problematic prominent people and prisoners from crusades into exile. One such example was that of Narses who was an Armenian Patriarch. Visitors will be able to see the four prison cells underground even now. But apart from that, there is also a Platea Monastery here, which was built by Byzantine Emperor Theofilos as well as a church that was constructed by exiled Patriarch Ignatios in 860. Tavsan aadasi is also known as Neandros Adası and the name means Rabbit Island. It is the absolute smallest of all the Princes’ Islands with an area of just 0.004 km squares or 0.0015 square miles. As with a small area space some lesser things to see, but if visitors are opting to go with a tourism group then they will be able to see some of the churches which still stand here apart from the tiny piece of the beach. Come here for the aesthetic of the place and enjoy seeing the beautiful greenery in here. Kınalıada means ‘Henna Island’ since the land has a reddish Colour from all the copper and iron, which has been mined in here and as one can imagine, it is also one of the last forested islands amongst the conglomeration. 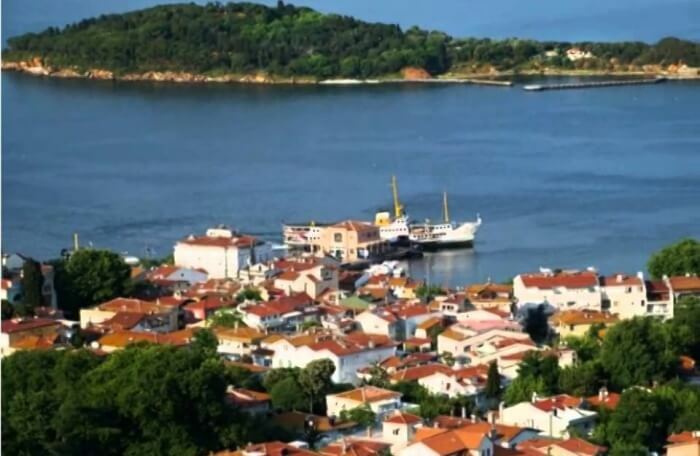 It is also the island which is closest to that of Istanbul since it is around 12 km to the south. 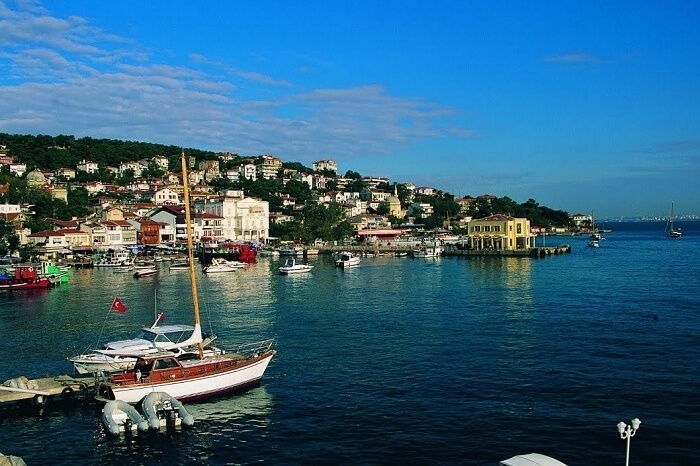 It, like every above island, is also a neighborhood of the Adalar district of Istanbul. While there are a number of islands from the Princes’ Islands, which were used as a prison and place of exile, but Proti was the most used of all. Visitors can reach the island using a ferry which takes about 25 minutes with a fast one and 40 minutes with a regular one. 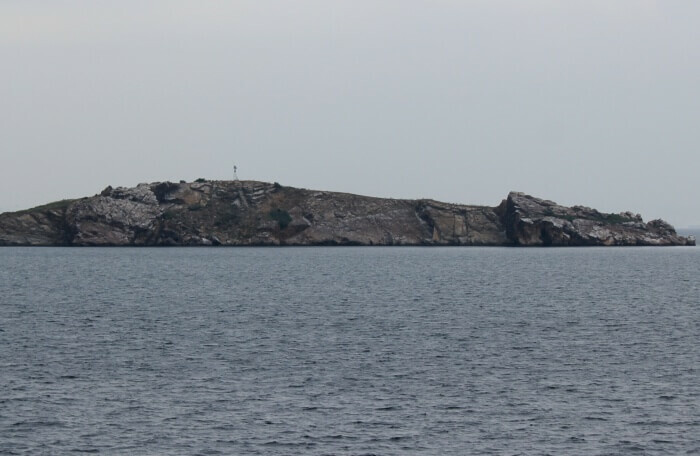 Galatasaray Islet is a small island and it is owned by the Galatasaray Sports Club. The island has a very attractive facility which is made up of 6 restaurants, two swimming pools, and house bars. It is one of the islands close to Istanbul, with just 541 feet or 165 meters from the European coast and is reachable by a free ferry service. There are lots of entertainment opportunities in here and as one can imagine, a lot of sports facilities as well since it is owned by a sports club. There is a swimming pool in here which served as a home ground for the water polo team from the years 1957 to 1968. Further Read: Istanbul Mountains: 10 Top Places To Witness The Marvellous Beauty Of Nature In Turkey! These islands are one of the must visit places while traveling to Turkey as they offer a scenic view and relaxing ambience to its visitors. So, if you’re planning a trip to Europe anytime soon then make sure to tick off these exotic islands in Istanbul from your travel list.